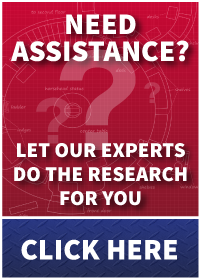 Industry Pioneers in the Design & Manufacture of Engineered Steam and Hydronic Solutions Including an Extensive Line of Centrifugal Pumps, Steam Traps, Radiator Valves, Heat Exchangers, and more. The 1240 Packless Radiator Valve is applicable to both hydronic and steam heating systems from 25" Hg vacuum to 125 PSIG. It can also be applied to water systems up to 125 PSIG. Our highest quality valve, the 1240 has a unique design that utilizes primary and secondary levers of high tensile, non-corrosive alloys to ensure trouble-free operation. 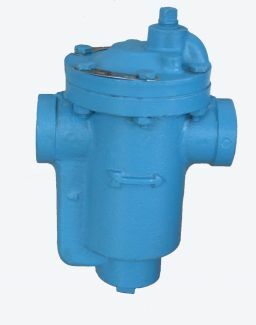 The 1240 Packless Valve opens and closes in less than one turn and is equipped with an indicating dial. This valve has a back seat safety feature to prevent leakage under failure conditions. It is available in two patterns (AP and ST) and in sizes 1/2" and 3/4". 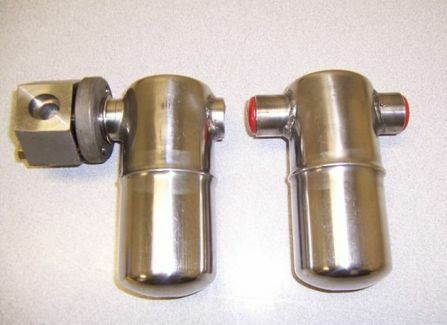 The MEPCO Stainless Steel Inverted Bucket Traps operate efficiently up to 400 PSIG and are applicable to all types of medium and high pressure steam systems. The inverted bucket trap drains condensate, air, and other non-condensable gases without losing steam. 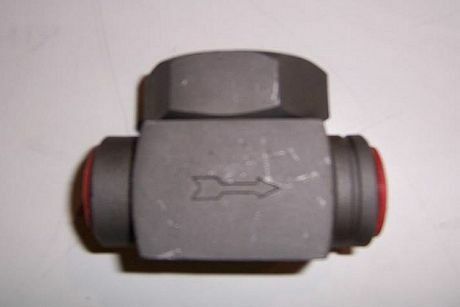 The universal connector found in model OBHSS-UNIV is designed to maintain the bucket in the proper plane. This trap is easily maintained or replaced without disturbance to the piping connections. 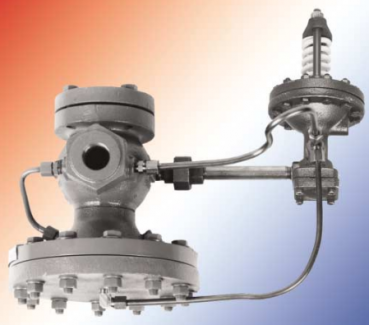 The MEPCO Thermodynamic Disc Trap is designed to efficiently discharge condensate on applications with working pressures from 4 to 600 PSIG and capacities up to 2,820 lbs. per hour. 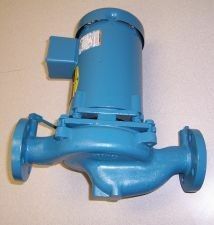 This trap is also available with integral strainer with blow-down valve. This compact, lightweight, simple but rugged trap will provide economical long-term performance on drip leg, tracing, and process heating equipment. Connection sizes 3/8", 1/2", 3/4", and 1" are available. The MEPCO Vacuum Breaker provides a positive means of relieving or "breaking" a vaccum at a predetermined setting. 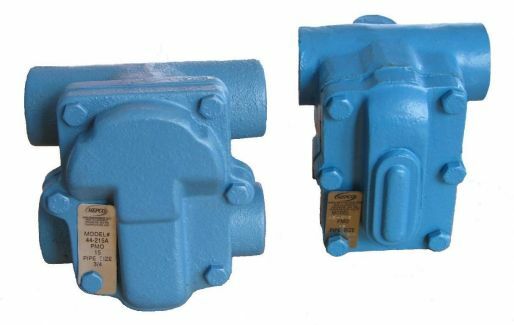 It is designed to prevent such damange to freezing coils, jacket collapse, or water hammer. MEPCO Vacuum Breakers are furnished with a 3/8" male pipe thread and are set at the factory to begin opening at 2" of vacuum. 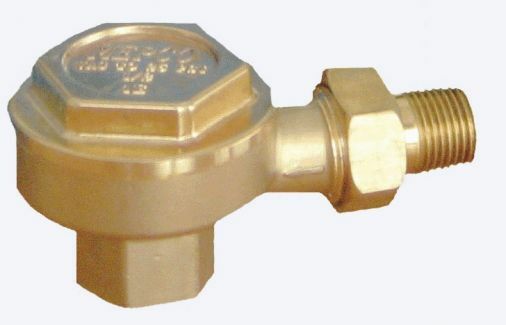 The vacuum breaker opening point is readily adjustable to match installation requirements. The Float and Themostatic Traps are applicable to all types of steam heating and process equipment. These traps operate efficiently up to pressures of 125 PSIG. These traps have great air handling capabilities for HVAC and process applications. Air and non-condensable gases are discharged through the thermostatic element while condensate is discharged through a separate orifice that is connected to a ball float that modulates with the level of condensate inside the trap. Float and Thermostatic Traps are manufactured in six different sizes - 1/2", 3/4", 1", 1-1/4", 1-1/2", and 2". 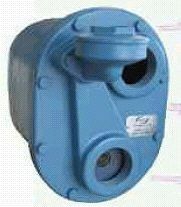 The Series 30 High Capacity Float and Thermostatic Traps are single inlet/single outlet traps that are applicable to all types of steam heating and steam process equipment where high capacity is required. These traps utilize the same thermostatic disc used in thermostatic traps that have been tested to over 10 million cycles. The 30 Series traps are manufactured in ten models for handling capacities of 1,500 to 150,000 lbs. of condensate per hour and pressures up to 125 PSIG. Inverted Bucket Traps are applicable for pressures up to 250 PSIG. In-line inlet and outlet connections permit straight-through piping connections. The traps feature renewable and interchangeable valves and seats made of hardened stainless steel. MEPCO's proven design provides positive opening action and easy access to working parts without disturbing piping connections. 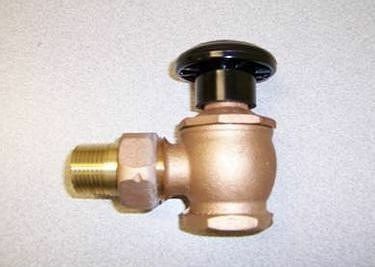 Low and Medium Pressure Thermostatic Radiator Traps for HVAC applications are designed for pressures from 25" HG vacuum to 25 PSIG and capacities to 700 EDR. With a cast brass body and cover, non-corrosive working parts, and thermostatic discs that have been tested beyond 10 million cycles, these traps set industry standards for dependability. The MEPCO Series 50 Regulator is the leader in the Pressure and Temperature Regulators. It is one of the few regulators in the industry to offer three different ranges of ports for each connection size. The regulator is versatile and dependable over a wide range of conditions and applications. MEPCO line of base mounted and close coupled pumps.